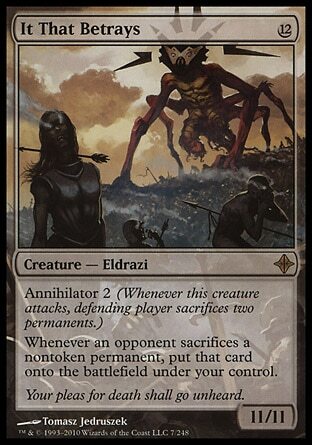 Brian started things off by laying the groundwork for a Jund Shattergang list. Eric then got a hold of it and tried to amp up the power level. I suppose it’s my job to now step in and make sure Eric hasn’t gone over the top with abusive strategies and also try to inject some synergy of my own. Read on to see the Staple Remover edition of Super Shattergang Brothers 3. Eric is like an illegal immigrant. He’s hanging out on his side of the border declaring that he would never try to sneak Tooth and Nail or Survival of the Fittest through the Staple Remover border patrol. 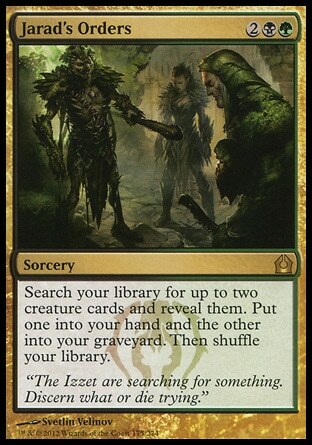 Then, in the middle of the night he hides a potential T2 Sylvan Primordial and an infinite Wurmcoil Engine token generation engine in the back of an old truck and tries to get through the fence to freedom. Ridiculous metaphors aside, I do like the direction Eric took with some of the additions in his version of the list. However I think there are a couple of card choices we can improve to up our synergy and also dial back a couple of more abusive strategies, so that Nole doesn’t to pull too much hair out when it comes time for him to make this whole mess “Socially Acceptable” next week. Hell’s Caretaker: He’s kind of like a Goblin Welder for your creatures. I took out Coffin Queen because the caretaker can bring back one of our creatures while getting a sac trigger on the other. The addition of Victimize plays a similar role. 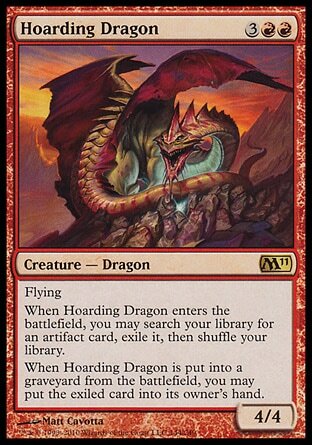 Hoarding Dragon: I am keeping the infinite token generation Eric included with Wurmcoil Engine Nim Deathmantle and Ashnod’s Altar. I feel a 3 card combo that doesn’t immediately win is perfectly acceptable. 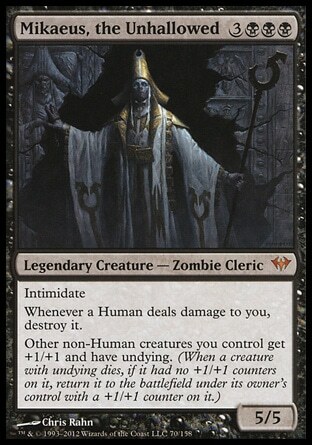 In fact I run it in my own Glissa deck as a win condition. Hoarding Dragon gives us a sac target as well as an artifact tutor if we are going for the combo kill and need to collect all of our trinkets of death. 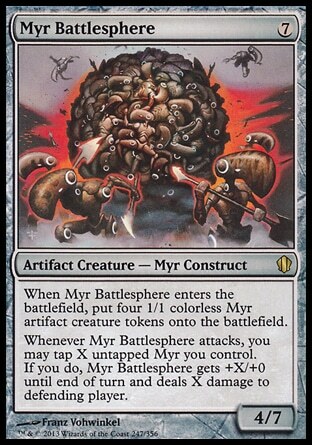 Myr Battlesphere / Precursor Golem: Both of these dudes give us tokens for sac fodder. 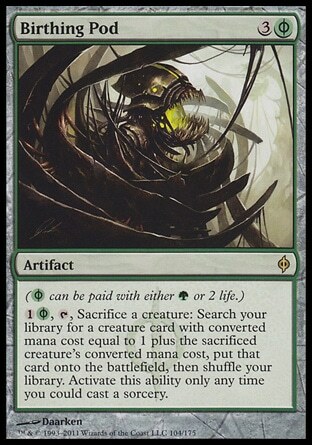 The upside is that you can use them as either artifact or creature fodder, which makes them more versatile than your typical creature token in this deck. 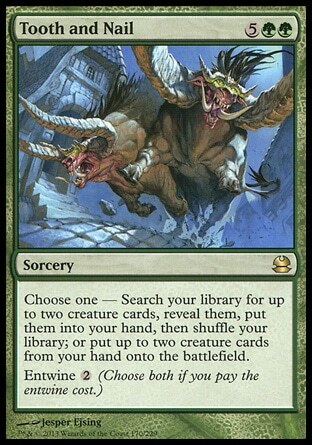 The both also serve as redundant pieces to our artifact token creature wincon. 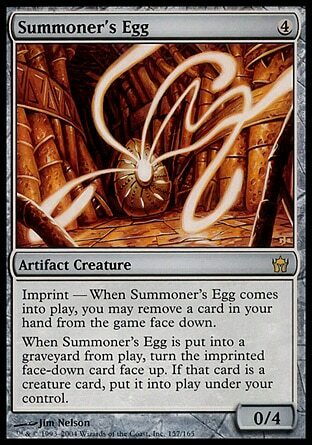 Summoner’s Egg / Clone Shell: If you can get over the bad art on Clone Shell you might be able to bring yourself to run it in a deck. Both of these artifact creatures serve as dual card type sac bait for the brothers and they also trigger an effect when they get sac’d. 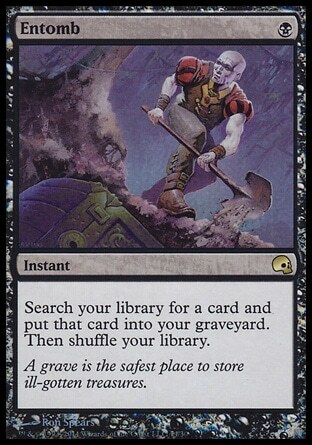 If you can get It That Betrays into your hand or on the top of your library you get some serious value. Birthing Pod: The list has a pretty even mana curve, so the pod is a great addition allowing us to tutor up creatures while triggering any sacrifice effect our creature in play may have. It That Betrays: This is going to serve as our top-of-the-curve bomb. If you can get the brothers going with It out, you are going to cause a lot of problems for the table. 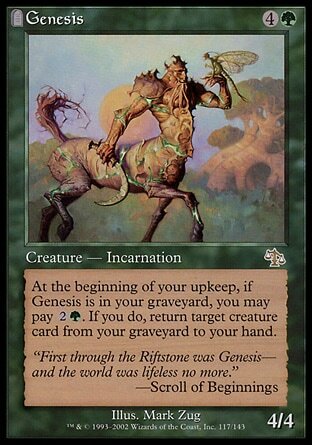 Jarads Orders / Genesis: Tutor up a useful creature while also putting Genesis into your yard to start recurring other creatures. You could also grab Sheoldred and any other creature you wanted to resurrect. These should both be pretty useful cards for the deck. 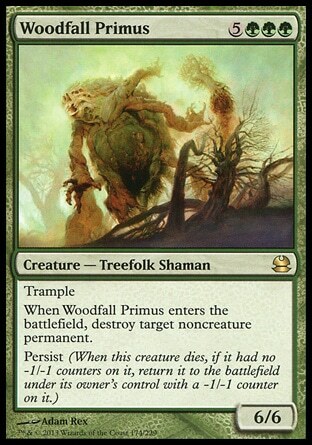 Mikaeus / Woodfall Primus: If you get these two guys out with a free sac outlet such as Ashnod’s Altar, bye bye permanents. Both are very helpful on their own as well. 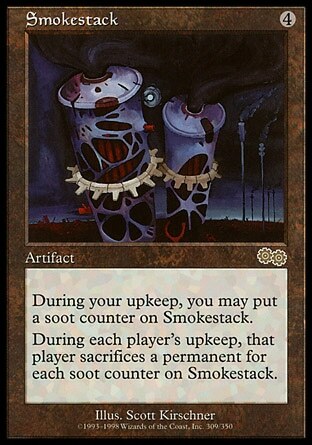 Smokestack / Braids: I did add Sheoldred, but these two get booted since they can bleed the table dry slowly over time if you catch people without an answer. 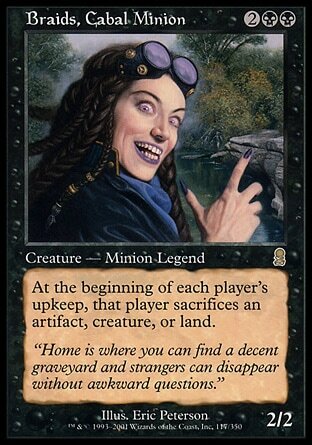 I don’t want to go all out stax with the deck since it can lead to some long frustrating game states for people. Entomb: Entomb doesn’t completely fit what this deck is trying to do other than going for an early Reanimate on something silly. I like Jarad’s Orders better. Token Creature Production: I cut out a lot of the token generation theme that was in the previous list. 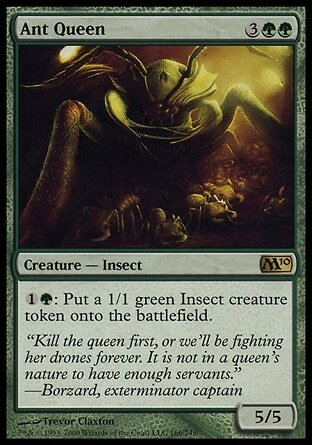 Cards like Wurmcoil and Battlesphere are going to take the place of cards like Ant Queen. 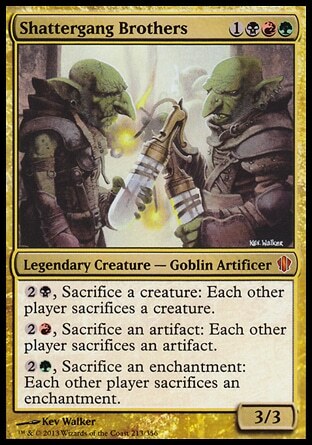 The artifact/creature dual card type helps out the Brothers more since we can choose to sac the token to make our opponents bin either an artifact or creature. Finally here is my Super Shattergang Brothers version 3.0 list. So which of the three decks have you liked the most so far? Do you think it will hold up under scrutiny of the Social Contract? Let me know in the comments below!